Free Shipping Included! 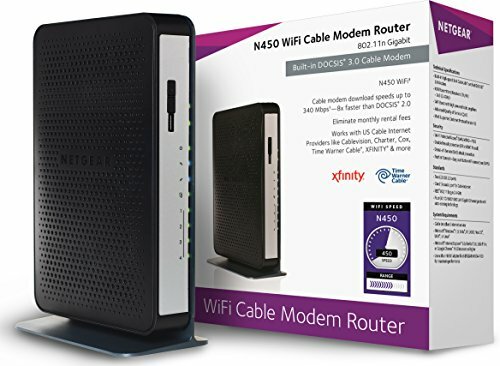 Save 1% on the NETGEAR N450 (8x4) WiFi DOCSIS 3.0 Cable Modem Router (N450) Certified for Xfinity from Comcast, Spectrum, Cox, Cablevision & more by NETGEAR at AABX. MPN: N450-100NAS. Hurry! Limited time offer. Offer valid only while supplies last. Compatibe with Xfinity from Comcast, Spectrum, Cox, & more. Not compatible with bundled voice services.